Stumbled across your blog and so glad I found it! Thanks for sharing your ideas! I'm a new leader and can use all the help I can get. Thanks again, keep up the good work!! Did you make all of your recipes at home and bring them in or have the girls make them at the meeting? We meet a library and I'm concerned about making foods, even no bakes at the library. The only one I made at home was the not just for breakfast bars. The rest were made in our meetings by the girls. I have been searching the web for an hour trying to figure out the savory snack for Brownies that does not have to be cooked. Thank you! We're using this for our Snacks Badge and also to teach the Daisies about Brownies at our Bridging to Brownies Workshop - thanks for your great blog, this should be manageable with 40 girls! We made guacamole at our meeting as the savory snack--girls loved it!!! They even loved the facts that I discussed about avocados!!!! I get a headache just thinking about foods to serve my troop. We don't have snacks at meetings at all. Between the nut allergy, soy allergy, kosher restrictions, vegetarian restrictions, it just takes the fun out of it all for me when I have to wrack my brain to come up with stuff that fits all the criteria AND that little kids can make at the school AND that they would like! We toured our local grocery store and met with the dietitian and we made hummus with her (savory?) so I need to make some smoothies (not sure where to plug in a blender but we'll see) Could we just go with fruit platter for sweet and have the girls design something out of all the fruit colors? I can't even think of anything for energy bars unless I can find kosher marshmallows and skip the peanut ingredient! UGH! I don'the know if you already did this but sunbutter is a great alternative to nut butters if the child can do sunflower seeds, for nut free and I think vegan you can get enjoy life chocolate chips and use the energy ball recipe on the smashed peas and carrots website for the energy bars They'll just be balls instead of bars The products I listed are pretty easy to find target carries sunbutter and Walmart carries the chocolate chips(along with tone of other stores ). I found your blog and LOVE it; I will use some of your ideas. Thank you times a million. If I could give some feedback about your food choices for snacks; I see many kids already struggling with weight.We try to do low-no sugar; maybe juice, usually water and fruit, cheese etc. 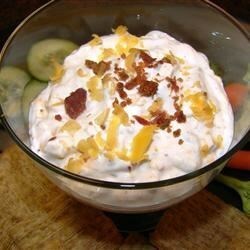 If/when we make things like a dip we might use carrots or celery instead of high salt/fat chips. and gmo foods are important to stay away from. we just don't know the health risk yet. But I love the blog and you make it easy. The journey books are such a struggle to get through. Thank you for your time and energy. Everything in moderation. These are not typical snacks. I'm thinking I'll incorporate the Chex Mix activity you did in World of Girls: Session 3 as our Savory! Thanks for all the great ideas!